Another Christmas card to share. The challenge at Splitcoaststampers today was to use dots on your card. I turned the dots into snow for my card. I first heat embossed my tree and sentiment, then sponged on my colours until I was happy with the look. I heat dried my background before adding the snow dots which I did with a rigger paint brush and acrylic paint. So, another Christmas card done for the Caring Hearts Card Drive. Thanks for having a look today. Products: Flourishes Forest of Trees, Penny Black Christmas Cheer, Tim Holtz Distress Inks Dusty Concord, Peacock Feathers and Wild Honey, White Embossing Powder, Gold Embossing Powder, White Acrylic Paint, Neenah Cardstock, Paper Garden Cardstock. I have many Christmas cards to make this year, so it is time to get going on them. Even though I have had this stamp for some time, this is the first time it has seen ink. I used my Misti for this image and it did take a couple of goes to get it the way I wanted it using Tim Holtz Peeled Paint Distress Ink. I added colour to the berries with my Zig Brushes and attached the panel to red matting then attached that to the base on foam squares. I stamped the Noel on Vellum using Tim Holtz Festive Berries then heat embossed with clear embossing powder and glued to the panel with matte glue and finished with a few sequins. Products: Deep Red Holly Background, Simon Says Stamp Big Scripty Holiday Greetings, Clear Embossing Powder; Tim Holtz Distress Inks Peeled Paint and Festive Berries, Zig Brushes, Sequins, Foam Squares, Neenah Cardstock, Bazzill Cardstock, Vellum. It is said, there is a first time for everything, and this is a first! I was asked if I could make a wedding card for a Halloween Themed Wedding. Well, no harm in giving it a shot, and this is what I came up with. 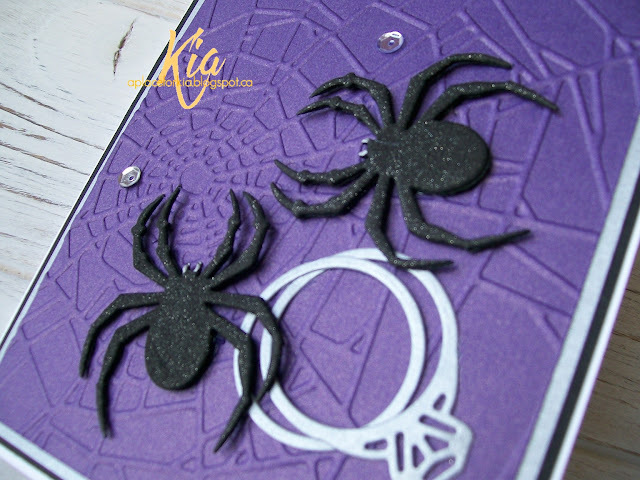 I embossed the background using a spider web embossing folder and purple metallic paper. The matting is also done in the metallic papers. I love the sheen of the metallic and it seemed appropriate given it is a wedding card. I die cut the engagement ring twice and turned the second one around in the die to make the wedding band. The spiders are die cut using fun foam, and for a bit more glam I added silver gel pen and Wink of Stella to the spiders ... my new favourite embellishment, not to replace my sequins, but to compliment them. the envelope once she has addressed the card. this card today and thank you for your visit. Products: Frantic Stamper Spooky Spider, Spiderweb Corner and Spider and Engagement Ring; Tim Holtz Textured Fades Cobweb Embossing Folder; Paper Garden Metallic Papers; Bazzill Cardstock, Neenah 110lb Cardstock; Vellum 40lb Paper; Sequins, Wink of Stella; Silver Gel Pen. This is the last of the gift cards I made for my friend. These were such fun to make and a nice change. 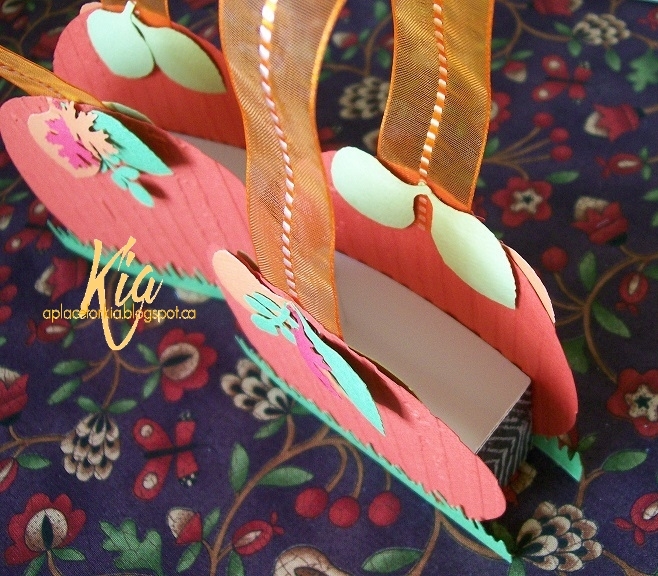 The top left is attached with an eyelet and swivels open. It has been years since I have used an eyelet! The top right is kind of neat, when you open the cover the inside slides up with the gift card. The bottom left is a box that slides in from the side, like the wooden matches once were, and the bottom right is like a gatefold card but a gift card. I used more eyelets for the closure. 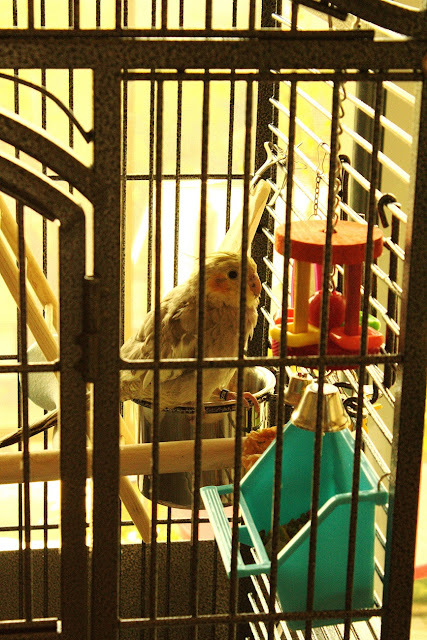 All the critters except for the bird are cut from black fun foam. The papers used on the box are years old by Little Yellow Bicycle and the other papers are digital. Thank you for dropping by. I hope you have enjoyed the parade of gift card holders. 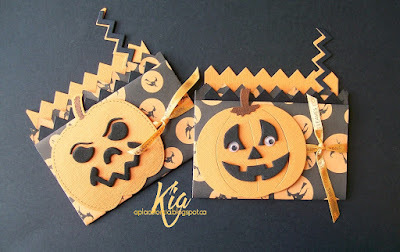 Products: Frantic Stamper Stitched Pumpkins, Spooky Spider, Scary Words, Large Bat, Spider from Spiderweb Corner and Spider; Impression Obsession Large Birds; Spellbinders Labels Eight; Eyelets; Twine; Wink of Stella; Silver Gel Pen; Ribbon; Sequins; Fun Foam; Bazzill Cardstock. A couple more of the gift cards I am making for my neighbour. I forgot to take a picture of the inside of the top ones. The back orange panel when pulled out has a big spider on it ... I did that as I am assuming the recipient would assume that is where the gift card is ....hahahaha! The gift card is on the black cardstock in the middle. Both of the faces on the pumpkins are done in fun foam. For the bottom holders, I did remember to take the inside picture. I used fall designer paper that I have had for at least 8 years. I added a few tiny spiders and the scream sentiment to the inside and the candelabra on the sash that slides on to keep the holder closed. I added copper gel pen to the tips of the candles and attached the candelabra to the oval background die. Thank you for dropping by today. Products: Small Spider from Spiderweb Corner and Spider, Chevron Edger and Border Set, Jack-O-Lantern Faces, Stitched Pumpkins, Scary Words, Candelabra; Spellbinders Majestic Elements Opulent Opals; Googly Eyes, Bo-Bunny Ribbon; Fiskars Photo Corner Punch; Black Fun Foam; Copper Gel Pen. My neighbour is hosting a Halloween Bingo on Thursday and she has gift cards as prizes and you can't give a gift card naked! I need to make 20, but this is what I have done so far, and needless to say I am having a lot of fun doing these. I found the tutorials at Splitcoaststampers. I just searched "gift cards" and a bunch came up. All of the dies I am using for these holders are from Frantic Stamper. This is a great way to use up bits of paper which I seem to have a lot of! So, back to make more ... I will share those with you as well. Thanks for having a look today. 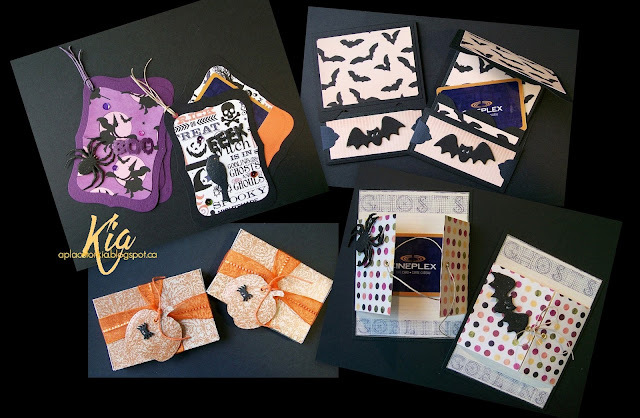 Products: All dies are Frantic Stamper - Spooky Spider, Pumpkin Man, Spooky Accessories, Large Bat, Large Cute Ghost, Chevron Edger and Border Set; Misellaneous Designer Papers, Googly Eyes, Spectrum Noir Markers, Chameleon Markers, Glitter Ribbon, Rhinestones, Wink of Stella. 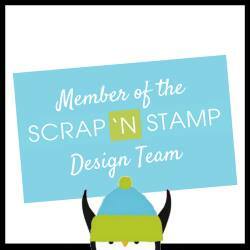 Well, this started out as a 3x3" card for a challenge at Splitcoaststampers. But, I forgot to take a picture of that little bitty card before I then attached it to a 5.5 square card. The reason I did this is Canada Post seems to have a problem with regular mail, I cannot imagine what they would do with a tiny piece of mail. So there is some logic behind my bigger card. On the mini card I heat embossed the snowflakes with white embossing powder and sponged on the colours. 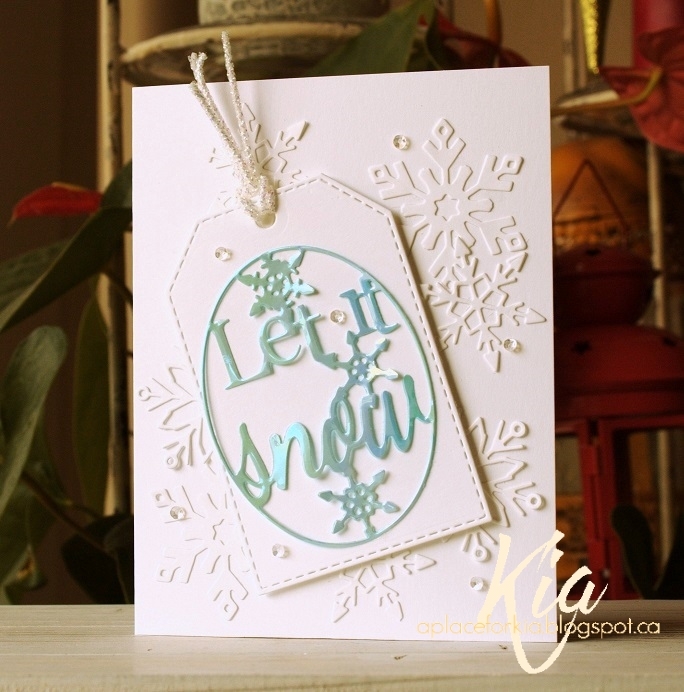 On the background I stamped the snowflakes using the different colours of Tim Holtz inks I used for the sponging. 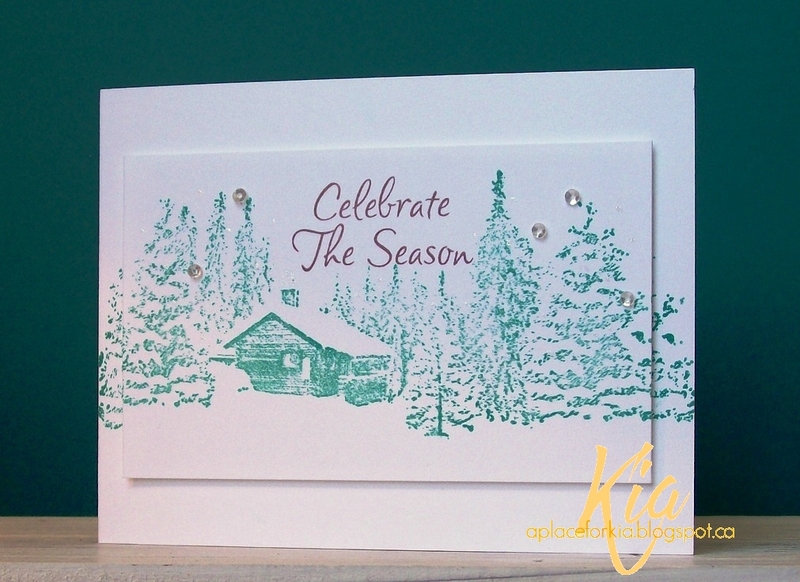 I added sequins to the mini card to finish and did keep the "mini" a card on the larger base having stamped Merry and Bright along with some other snowflakes on the inside. Then my guilt got the better of me so I made a second 3x3 card. 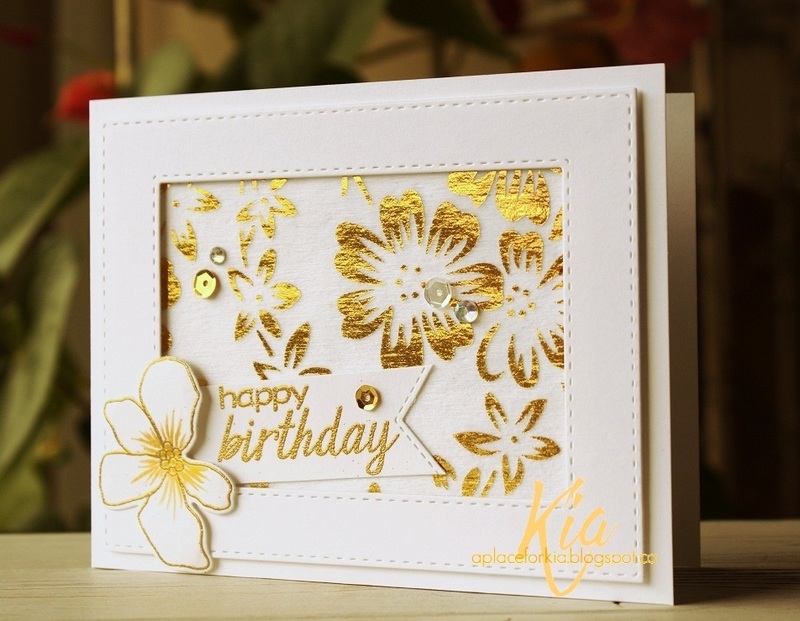 I first cut my card using a petal label which is 3x3 then stamped my image and heat embossed with gold embossing powder. I added a few gold cupped sequins ... done. I think it would make a great gift tag, and now I don't feel so guilty. Products: 1) Simon Says Stamp Christmas Holiday Envelope Sentiments, Tim Holtz Distress Inks Shaded Lilac, Evergreen Bough, Broken China, White Embossing Powder, Sequins. 2) Deep Red Meowy Christmas, Gold Embossing Powder, Gold Cupped Sequins. 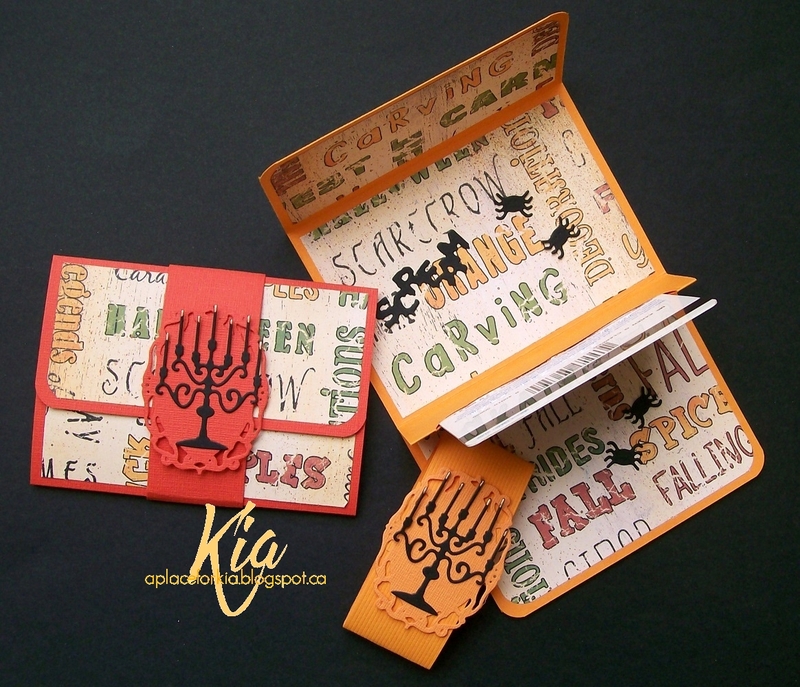 It is nearing Halloween and the challenge at Splitcoaststampers today is to make a Halloween card and fill the galleries with loads of spook. 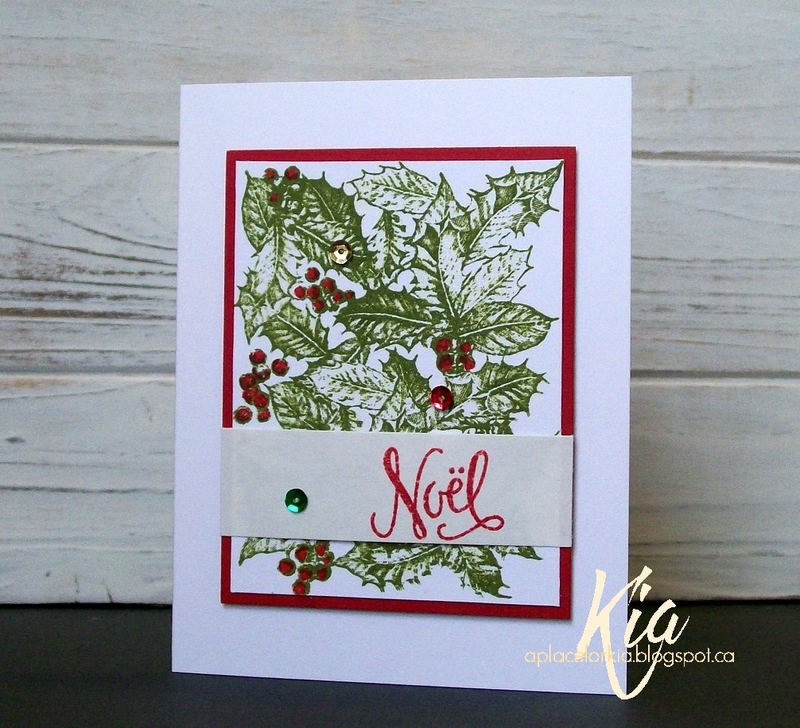 I stamped my background using my Misti, and so glad I did as it took several goes to get a good image. I then painted the image with Wink of Stella brush. I wish you could see the shine, like you can on the sentiment. 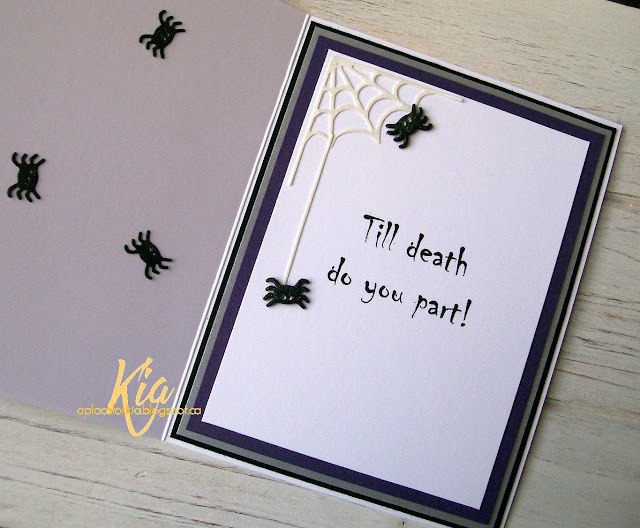 I added a tiny spider die cut from fun foam and the sentiment, along with some sequins and crystals. A fun card to make for a change of pace. I am a bit disappointed at how this turned out, but I am somewhat distracted today. In my next post I will explain why. I do like the stencil leaves, which I did using Zig Brushes. 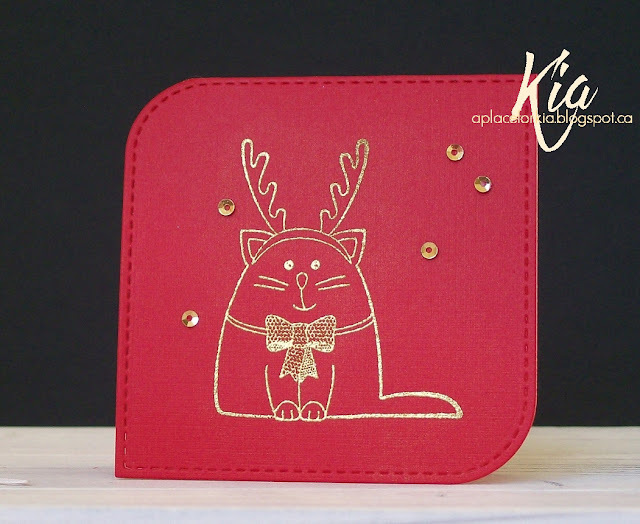 It is a faux pocket card ... my distraction caused me to glue the top closed! So, do the next best thing and make it faux. I cut the tag to appear like it is in the pocket. If anyone pulls it, won't they be surprised! 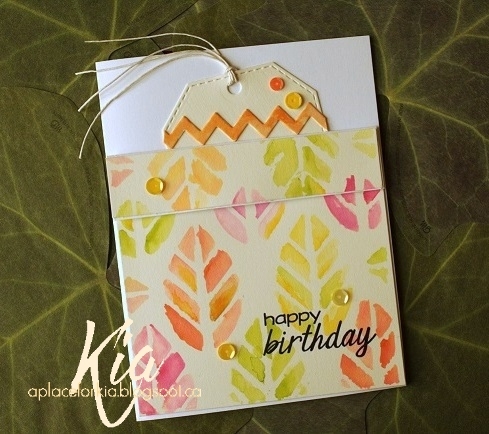 I added the chevron edger to the tag which is also painted with the Zig brushes. I stamped the sentiment and added a few sequins to finish. Thanks for having a look today. Products: Stamplorations Leaf Prints Stencil, Frantic Stamper Tag Builder Set #1, Frantic Stamper Chevron Edger & Border, Frantic Stamper Celebrations Stamp Set, Sequins, Zig Brushes, Fabriano Hot Press Watercolour Paper, Twine. fixed now, and all is back to normal, until the next time! This wonderful stamp is the Snowy Egrets with Wee Calligraphy. I wanted a night scene for my Egrets, so I stamped with embossing ink and heat embossed using white embossing powder. Egrets are white colour, but being at night I did not want them in a bright white, so I used white PanPastels to colour them, and I added some orange marker to the beaks. 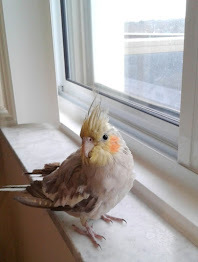 There is also some silver gel pen on the wings, but it is hard to see in the picture. Even though the stamp comes framed, I opted for a cardstock frame attached on foam strips. And, I finished with a few cupped sequins in silver and gold and a sentiment die cut from white glitter paper. Thank you for visiting today, see you next time. Products: Art Neko Shoson Five Snowy Egrets with Wee Calligraphy; Impression Obsession Frame, CottageCutz Joy sentiment, PanPastels, Silver Gel Pen, Sequins. I am on a bit of a Poinsettia kick I think. In my MISTI I first stamped my image with Memento London Fog. I added flicks of masking fluid to the card with a paintbrush and let dry. I then watercoloured the flowers with Zig Brushes and when dry I put the card back in my MISTI and stamped again with the embossing ink, then heat embossed with clear embossing powder, which allowed my to get up to the edge of the flowers with the turquoise which I did darker around the flower along with a lose wash. A challenge at SCS was to use a festive image and a non-festive sentiment, and as I have a friend who has a birthday in December I stamped with my favourite birthday sentiment. I added some Wink of Stella to the flower centre's and a few sequins to finish. Thanks for visiting today. 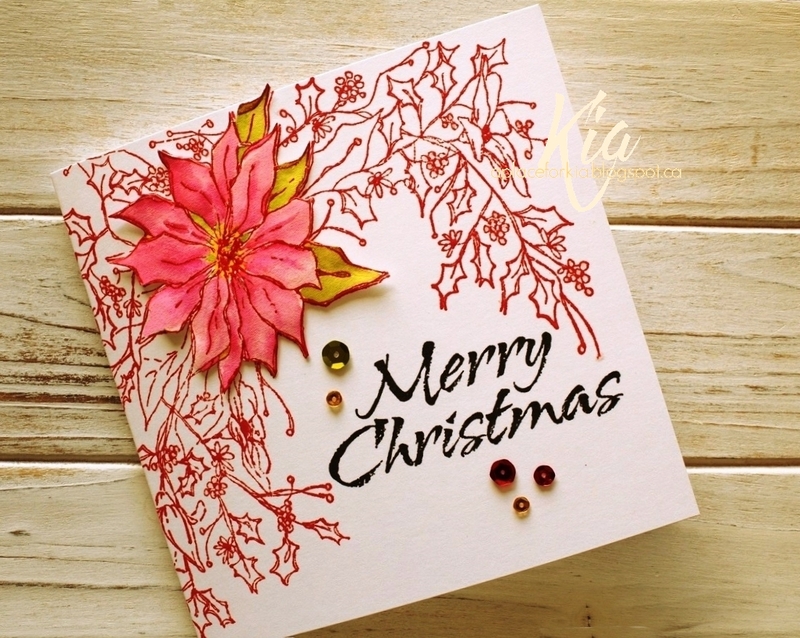 Products: MISTI, Stampendous Poinsettia Corner, Frantic Stamper Celebrations, Watercolour Paper, Zig Brushes, Wink of Stella, Memento London Fog, Simon Says Stamp Intense Black, Sequins. 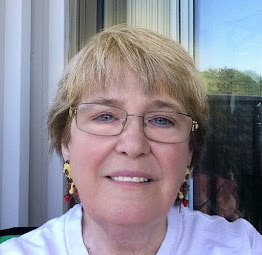 Welcome to the Impression Obsession and My Sweet Petunia Blog Hop. This is my first ever hop, and so far I have had a blast, and I am sure you will enjoy the hop too. Yes, there will be a giveaway by way of a draw on Wednesday October 12, 2016, drawn from all who leave comments on all the blogs in the hop to give away a Mini MISTI and a $25.00 Impression Obsession Gift Certificate. The winners will be posted on the Impression Obsession Blog. 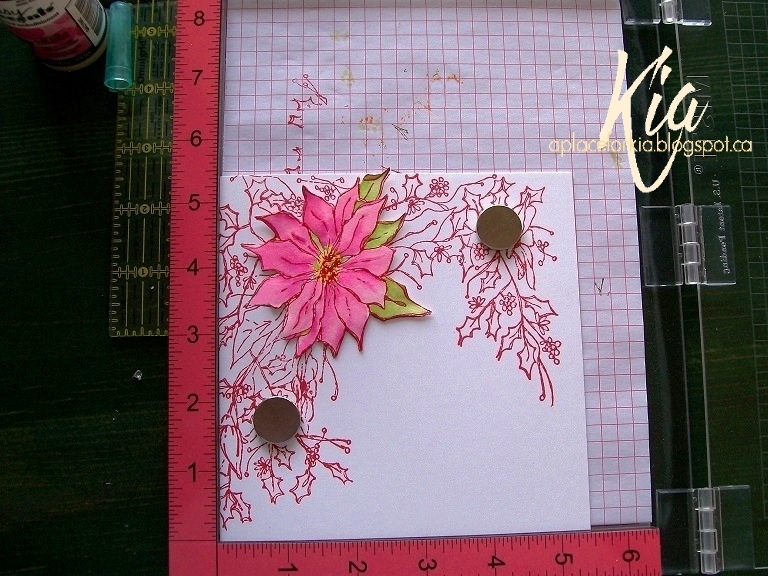 For my card, I used the Impression Obsession Poinsettia Sketch and Merry Christmas stamps to make my 5.5 square card. 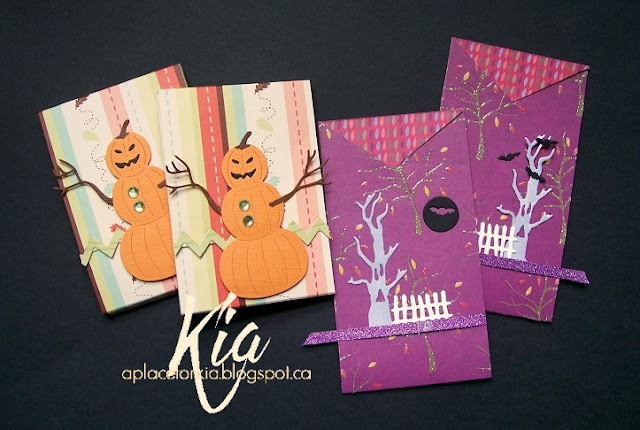 I started by laying my card base in my MISTI and played around until I got a look I liked. 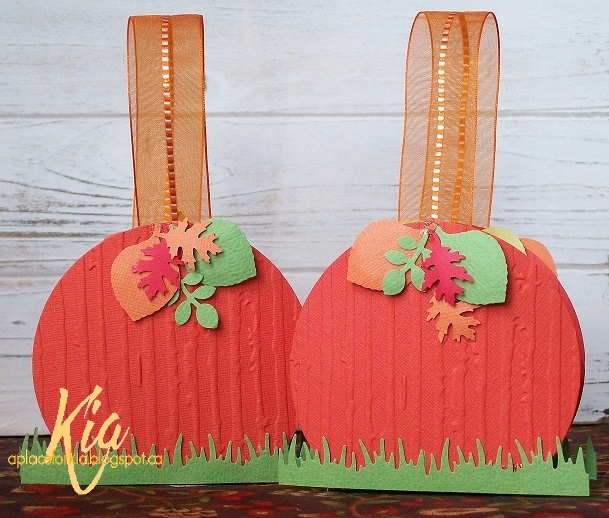 I stamped with Tim Holtz Distress Inks Barn Door and heat embossed with clear embossing powder. 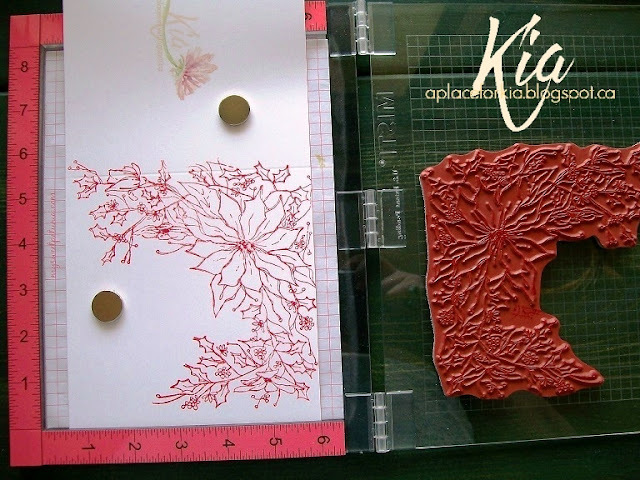 When stamping my background I also stamped another flower on watercolour paper to cut out. I coloured the flower using Zig Brushes adding several layers to achieve the colours I wanted. I styled the flower slightly before attaching with glossy accents to ensure it stays in place. I put my card back in MISTI to arrange and stamp my sentiment. 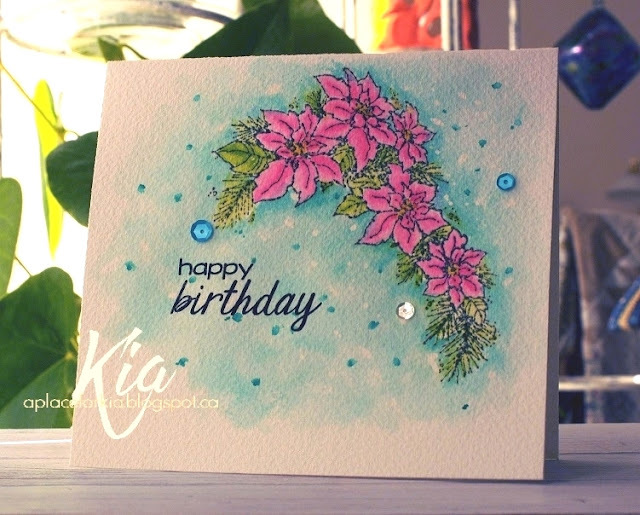 I then added Wink of Stella to the flower centre and to the tiny berries on the cardbase. To finish I added my trademark sequins ... I am pleased with the finished card. I wish you could see the shine from the Wink of Stella though, it is so pretty IRL. Products: MISTI Original, Impression Obsession Poinsettia Sketch, Impression Obsession Christmas Stamp, Zig Clean Color Brushes, Tim Holtz Distress Ink Barn Door, Simon Says Stamp Intense Black, Embossing Ink, Clear Embossing Powder, Wink of Stella Brush, Glossy Accents, Sequins. Introducing Let It Snow, a winter card done for Frantic Stamper's Winter Wonderland release. I used several cuts of the Snowflake Trio for my card base and arranged them around where the tag would sit. I added the Let It Snow Oval Die, which I cut from Shimmer Sheetz, to the Tag, which I added the twine to and attached to my base on foam strips. And, a few sequins to finish my card. Products: Frantic Stamper Dies; Neenah 110lb Cardstock, Shimmer Sheetz, Sequins, Foam Strips, Twine. The Clean and Simple Challenge at Splitcoaststampers today is to use pink ribbon for Breast Cancer awareness month. 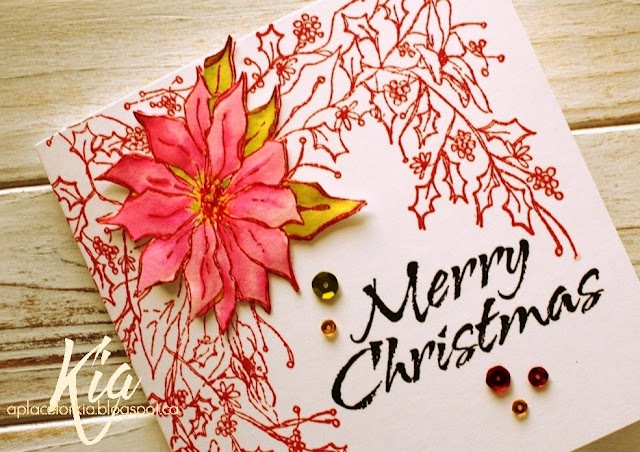 I did not have any pink ribbon, so I went a different way and made this Christmas card. 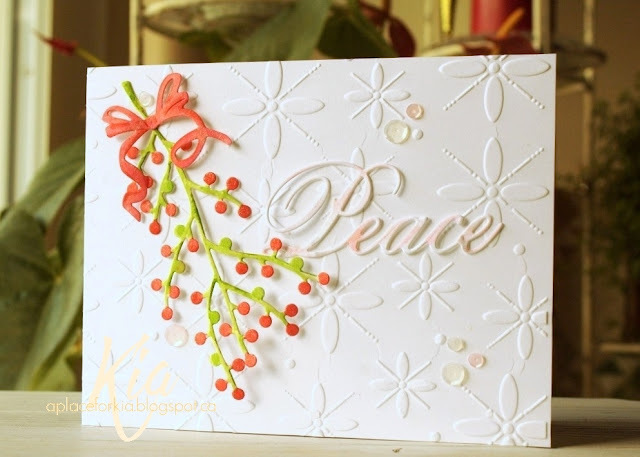 I first embossed my card base with the Sizzix embossing folder. I die cut the branch and bow from watercolour paper and the sentiment from Neenah cardstock. For the branch and bow, I watercoloured using my Zig Brushes, and once dry painted both with Wink of Stella. The stems in several different shades of green and the berries and bow in different shades of pink. For the sentiment, I wanted to keep it soft looking, and want some sparkle, so I scribbled some of the pale pink colour on my craft mat and picked it up with my Wink of Stella Brush and applied the pink lightly as I went with the Stella Brush. A few sequins finished my card. Initially, I had the sentiment towards the bottom - it looked off to me, but I thought it was just me. The eye of the camera does not lie. Totally off, so even though it was attached with glossy accents I managed to get it removed and place it where it should have been from the start. Products: Sizzix Winter Set #2 Embossing Folder, Elizabeth Craft Berry Branch, Bow from Frantic Stamper Finial Ornament Background Die, Impression Obsession Sentiment, Neenah 110lb. Cardstock, Zig Clean Colour Brushes, Wink of Stella Brush, Sequins. 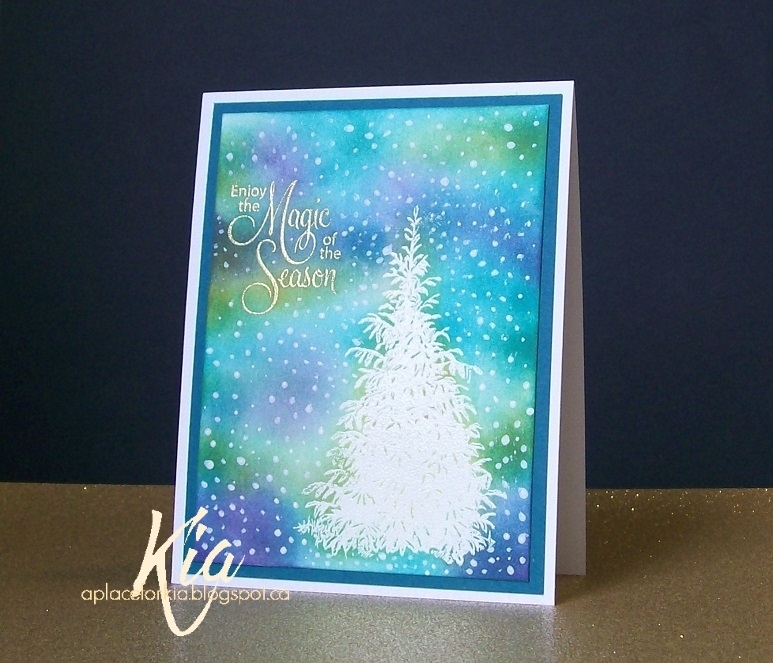 I am back to the winter season with this card, which I did for the Winter Wonderland release by Frantic Stamper. I very much like these deer (there are 7 deer in the set) and can see numerous cards they can be used on all year around. 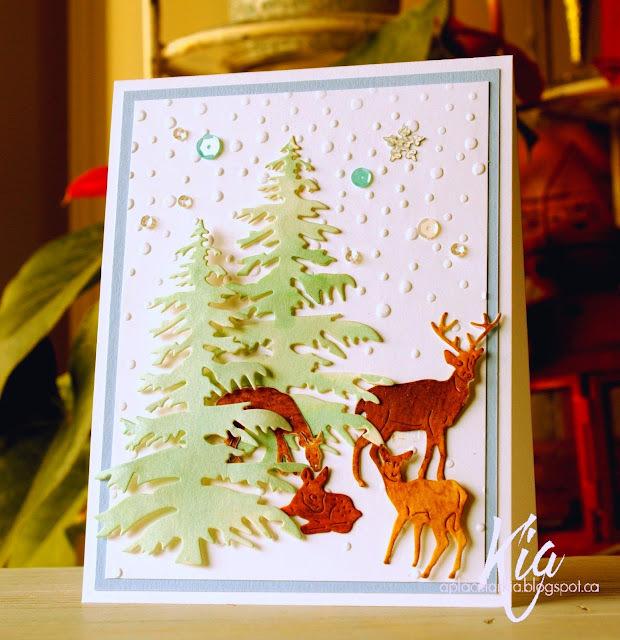 I also love love this Fir tree die, which I have used on numerous cards. 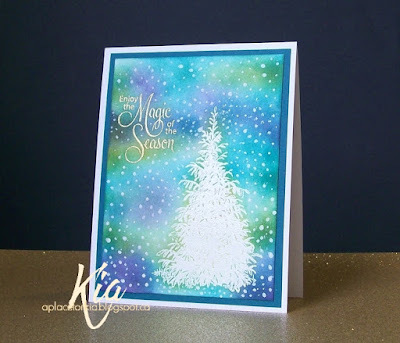 I embossed my background with my favourite snow falling embossing folder and matted with a light blue to start my scene. I coloured my trees in a light shade of green to keep my card light as I wanted the deer to be dark. My imagination allowed me to think this was a particularily sunny day and the light was bouncing off the snow, making my trees lighter than they are! Anyway, I attached them to the card base with the front tree being on foam dots. I coloured the deer with Zig Brushes, applying several layers of colour, and styled them before attaching. A few sequins and sequin snowflakes completed my scene of grazing deer. Frantic Stamper Herd of Deer, Frantic Stamper Oregon Fir Tree; Sizzix Snow Dots Embossing Folder; Paper Garden Blue Cardstock; Neenah Cardstock; Tim Holtz Distress Inks Shabby Shutters; Zig Clean Color Brushes; Sequins; Glossy Accents; Foam Dots.